Living in dry southern California, I rarely notice fungi, unless they are mushrooms on my plate or something mysterious growing in the fridge. But they are everywhere, breaking down what the other kingdoms of life create. In the far wetter Pacific Northwest, fungi and those who study them really flourish. Recently I watched an online TED (Technology, Entertainment, Design) lecture by Paul Stamets, a mycologist who lives in Olympia, Washington, entitled “Six Ways Mushrooms Can Save the World.” Most impressive was his demonstration that oyster mushrooms could in a matter of weeks transform a toxic mound of oil-contaminated dirt into healthy soil. On YouTube you can find Stamets talking about the toxic cleanup potential of fungi in more detail. You name a nasty organic compound, like PCBs or dioxin, and there seems to be a mushroom that can break it down. In addition to Stamets’s passionate introduction to the fungal world, you can visit Tom Volk’s Fungi. Volk has had his site up practically from the start of the Internet and has been writing his Fungus of the Month for more than a decade. 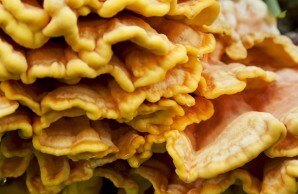 His entry for April of 2008, Profollias downhoki, is billed as the missing link between fungi and plants. Surprisingly, this fungus, the first known to photosynthesize, was discovered in the moist pouches of kangaroos. Scroll down to the bottom left to find the archived fungi of the month. Also be sure to check out Volk’s Holiday Fungi. He lists the fungi that are necessary for a Merry Christmas and the fungal diseases that must be overcome to enjoy a traditional Thanksgiving dinner. Other holidays are included. It’s an interesting perspective on how profoundly these organisms impact our daily lives. Volk himself is direct beneficiary of a fungus: having had a heart transplant, he has been protected from rejection of the new organ by cyclosporine. That is an immunosuppressant derived from the from the Cordyceps subsessilis, which is the June 2006 fungus of the month, written up by “guest mycophiles” Kathie Hodge and Jon Palmer. The Amazing Kingdom of Fungi is a page maintained by Wayne Armstrong, a professor at Palomar College in San Marcos, California. 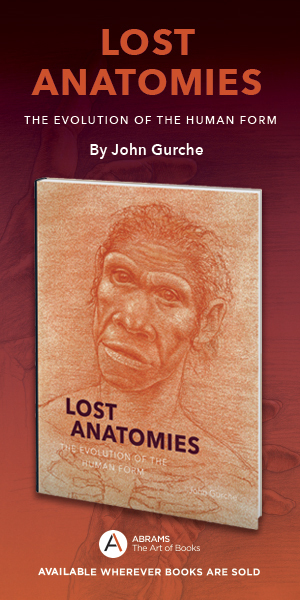 In addition to a good introduction, he examines a number of interesting species in detail. One of the more interesting species that I came across while perusing the Internet was on Penn State University’s Plant Disease Facts page; scroll down to the bottom of the page to the artillery fungus, one of several fungi that commonly grow in wood mulch. This Cornell University Fact Sheet has the lowdown on these annoying little mushrooms. “Dark brown spore packets, called peridioles, sit on top of specialized cup-shaped cells which accumulate water and cell contents. When enough liquid is accumulated, the cupped cells invert causing the cells to burst and propel the peridioles as high as 6 meters [nearly 20 feet] where they can adhere to new surfaces.” The result is often houses or new cars covered with the small dots, which are apparently impossible to remove without damaging the surface. To watch a video on the problem see home damage. At the Mycologia Web site, I learned that shooting spores is a common trick. The article “The Captured Launch of a Ballistospore” describes how an estimated 30,000 fungal species launch their “ballistospores” at very high speeds, some reaching accelerations in excess of 10,000 times the force of gravity. The researchers used cameras running at 100,000 frames per second to catch the action. At the blog Small Things Considered you can find another account of this research. As I already mentioned, fungi can do more than property damage. In addition to their key ecological role recycling the nutrients of dead organisms, many species cause problems when, during their overzealous drive to clean up the world, they sometimes attack the living. Fungi take a large toll in lost crops, and animals (including humans) are susceptible to the occasional fatal infection. Dr. Fungus covers these negative effects in an understandable way, including the moulds that cause severe allergic reactions associated with “sick building syndrome.” This site, although accessible to the layperson, was created by a network of contributors on three continents for physicians who may not be as familiar with fungal infections as those caused by viruses and bacteria. For a five-part physician-level video lecture series on the human mycoses, try Medical Mycology by Dr. Arthur F. Di Salvo, available online from the University of South Carolina School of Medicine. Slime molds are not fungi, but they are extremely interesting life forms often studied by mycologists. On my bookshelf, I have a copy of Steven L. Stephenson and Henry Stempen’s beautifully illustrated book Myxomycetes: A Handbook of Slime Molds, which describes these organisms as having characteristics of fungi (the fruiting bodies) and animals (they can move). For most of their lifecycles these small, but readily visible creatures exist as a mass of protoplasm, called a plasmodium, which can change form and move like giant amoeba as it forages the soil or leaf litter for bacteria and bits of organic matter. 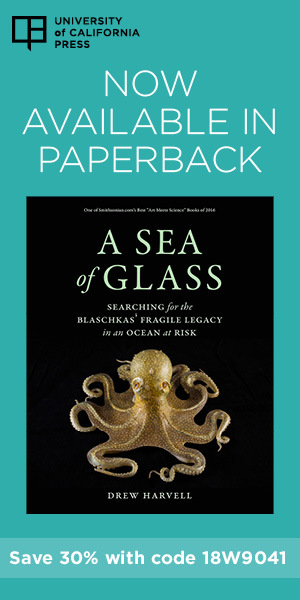 Stephenson, a research professor at the University of Arkansas, is the director of The Eumycetozoan Project, dedicated to understanding these important decomposers. Another introduction to slime molds is at Wayne’s Word. And finally at the Cornell photolab you can find a beautiful of time lapse clip of a slime mold reaching out to consume flakes of oatmeal in a petri dish. It reminded me of Carl Sagan’s vision of galactic colonizers.